As an Architect and a Web Designer I can say I'm a creative Website Architect. I design websites and web applications interfaces adopting an approach to the design and planning of websites which, like architecture itself involves technical, aesthetic and functional criteria. As in traditional architecture, the focus is properly on the user and on user requirements. I have been a web standard evangelist since 1998 with proven experience designing standard-compliant XHTML/CSS and cross-browsers user interfaces and developing large-scale consumer websites for which I have received important international and national awards and acknowledgments. My experience as user interface designer spaces from websites to web applications, as well to offline software. I have strong analytical thinking and problem solving skills along with lateral thinking abilities developed to achieve creative solutions through desing process. 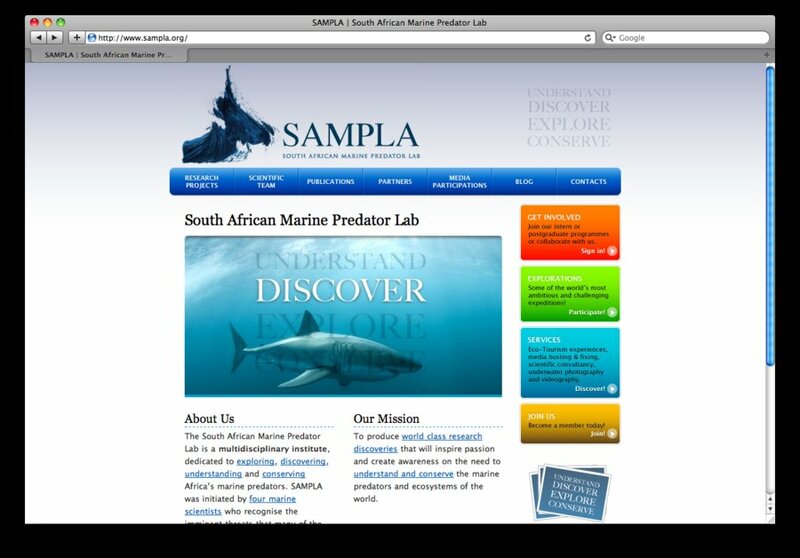 This is a screenshot from the South African Marine Predator Lab website.